Just how stubborn is Taurus? How do both areas of astrology combine? And am I really as stubborn as a ‘double bull’ would indicate? The Ephemeris tells me that on 11 May 1973, in common with everyone else born on that day, the Sun was indeed to be seen occupying that 30 degree sector of the sky called Taurus. However, Mercury, planet of mind and communication, and Venus, planet of relationship, harmony and beauty, were also there on that day! So – having three of the ten key characters on your life’s stage in the same sector or sign emphasises the characteristics of that sign very strongly. The answer to your second question, therefore, is an emphatic YES based on Western astrology alone. 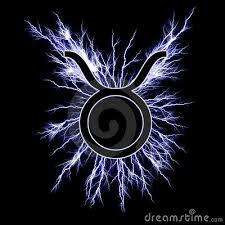 However, there are other things in your horoscope which both modify and contradict this strong stubborn streak. A full horoscope reading, for which you would need to provide your date, place and all-important TIME of birth, would put all the key characters on the stage, enabling you to get a better ‘handle’ on what drives you…. As far as the combination of Chinese and Western astrology is concerned, after more than 30 years as an astrologer I am still getting to grips with the Western tradition (!) so have only a very superficial knowledge of Eastern astrologies. However, I turned to our ever-present friend Google – which, incidentally, told me that the Chinese year for your date of birth is,in fact, the year of the Ox. 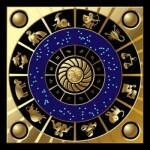 Astrowiki has an interesting and informative page on Chinese Astrology for any readers who wish to pursue the topic further. Many thanks for your question, Mandy. Your feedback would be welcome. And – ask me another any time ! This entry was posted in An Astrological Miscellany: of cusps, virgins, atomic scientists, Muhammad Ali and much, much more...(13 articles) and tagged 1973 year of the Ox, Astrology, horoscope, Taurus the Bull, Zodiac. Bookmark the permalink. Hi I’m Badrunisha born 17/03/79 6:00am south africa and I’m a pisces and can u please tell me about my Destiny? Dear Badrunisha, thank you for your enquiry. I am a Taurus born May 9, 1934. I have never agree with astrology’s claim that Taurus people are stubborn. I will claim determined practicality but not stubborn because if someone can show I am wrong I have no problem with that. Of our 4 children one was truly stubborn although I don’t think she realizes it. She is a Pisces but does have a Taurus Moon. My understanding of stubborn that individual will forge ahead no matter what. Thanks for your feedback, KLB! As you can see from the following paragraph, one has to assess the WHOLE horoscope, with all its contradictions: it was Mandy who specifically asked about one specific trait, ie stubbornness. And like any other trait, it can operate either constructively or obstructively to a person’s path through life: context is crucial! Great post, and you are so kind and generous with your feedback! I’m heading to the Astrowiki now! Many thanks, Lisa…yes, it’s important I think to give out information which can help to broaden people’s knowledge and perspectives. I have a question that seems not to have a reasonable answer. Why do my closest family and long-term friends treat my passionate work in astrology as a fanciful hobby ? I can’t even get some of them to friend my page here, lest they over-indulge my “fantasms”. Sure, I have Saturn in Cap’ in a tight t-square with Sun and Moon; so all acceptance comes through some trial of resistance. But the fact that their resistant barrier is so obvious has thrown me for a loop for the years I’ve inhabited my page here. Here are my return musings, Moira, for what they are worth. Yes, I think the horoscope configurations described by you here point to nothing significant coming easily …but the plus side of that, I would think, is that your hard-won achievements are solidly grounded in experience and realism, and as such probably increasingly valued by other people as time goes on. Saturn, I have found both personally and in my work and teaching, is a friend of honest effort and perseverance, especially as one gets older. But one of the great lessons I have learned, for what it’s worth, is that certain walls are not worth continuing to bang one’s head upon. The cultural wall, in terms of society’s attitudes to astrology, is pretty impervious to our head banging. Simply getting on with our work with integrity, and stopping the head banging altogether, I think is the best way forward. Thanks, Lesley! I have to confess that this feedback did make me chuckle… Doesn’t leave much room for argument!